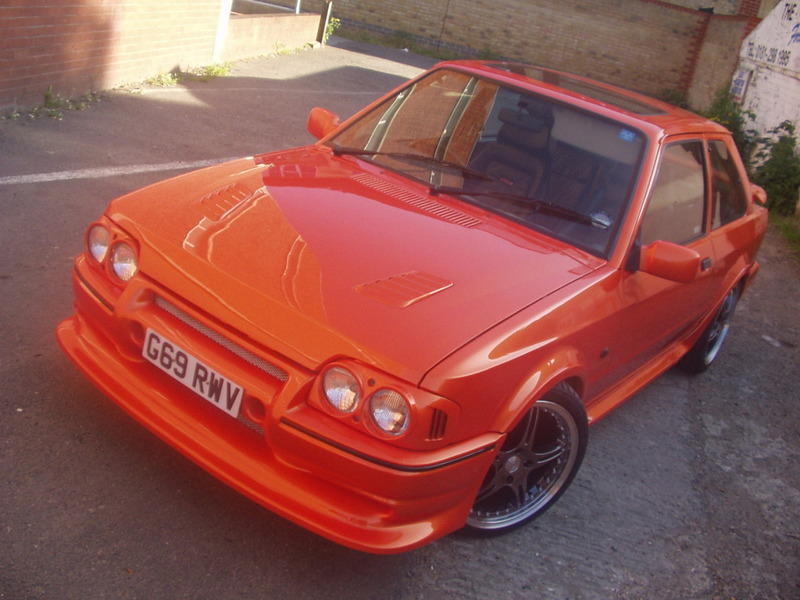 A clean and original series 2 RS Turbo, it was originaly bought with the intention of a quick repaint and use it as my daily driver, but before long the repaint turned into much more. 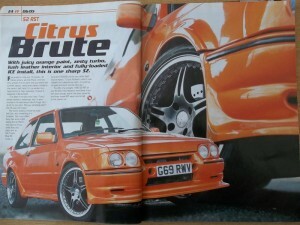 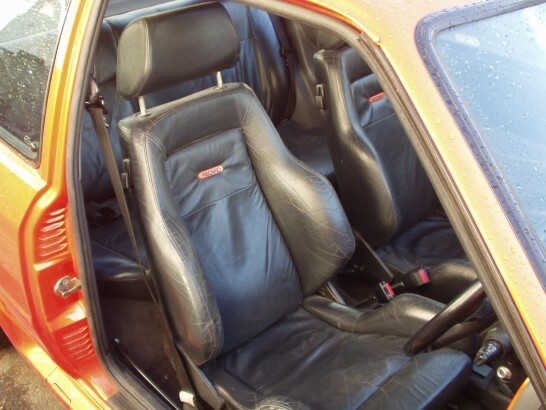 With the exception of a stainless exhaust and an earlier spec front bumper the RS was totaly original and un-modified. 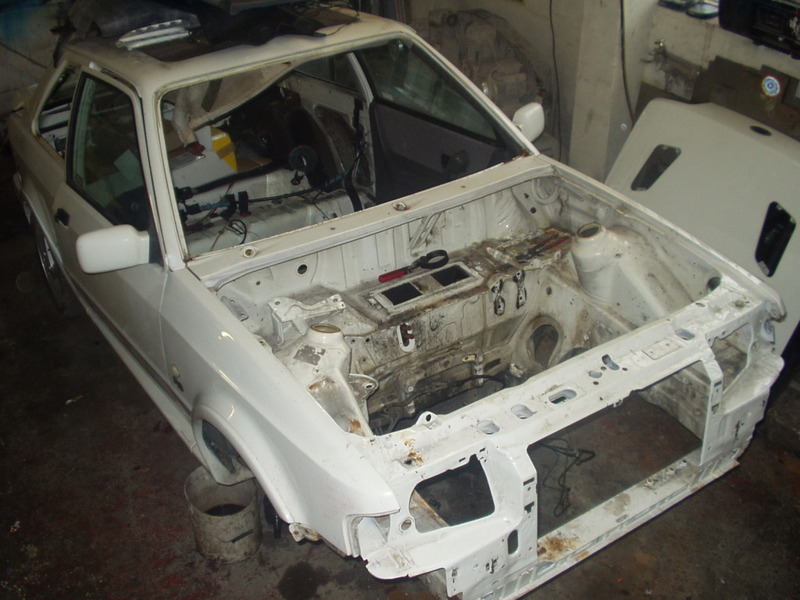 With the RS dismantled it was discovered the only corrosion on the car was the tailgate. 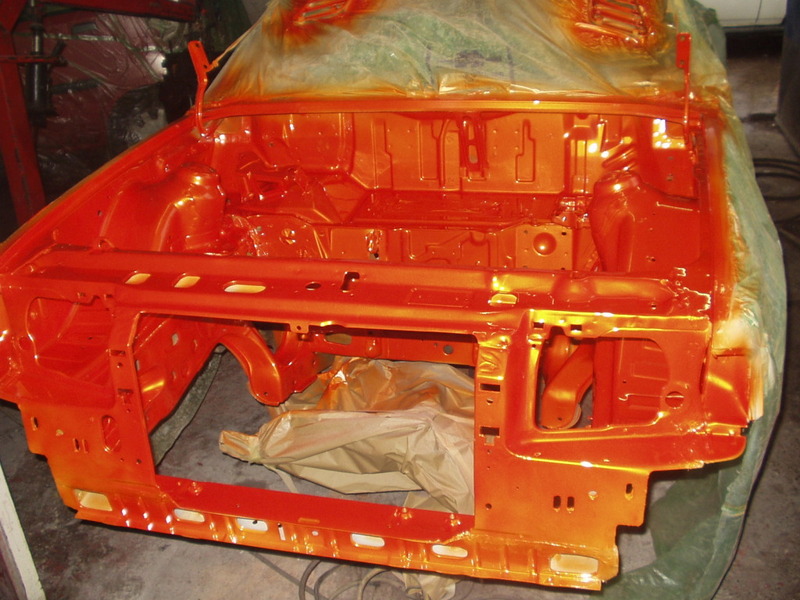 Another rust free tailgate was sourced and the fixings for the spoiler fitted. 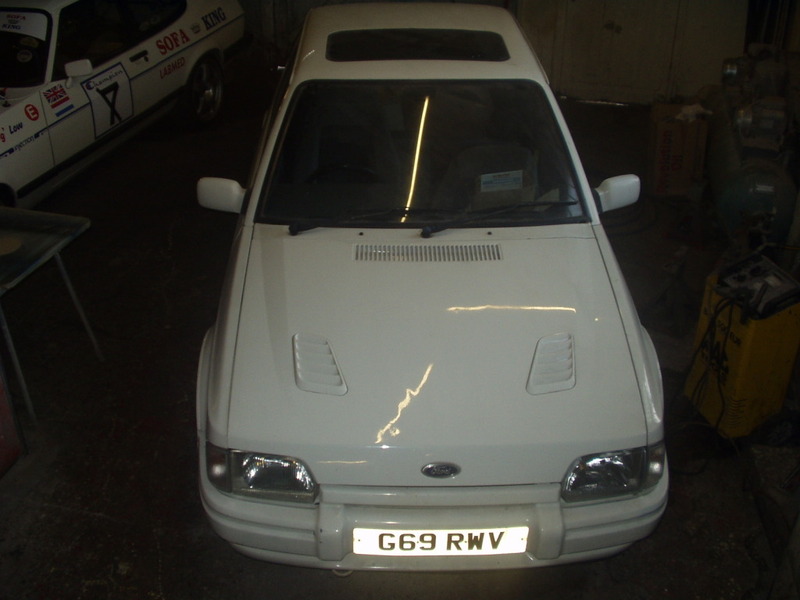 The correct 90 spec RS bumper was sourced and modified with an addition of a lower spolier that was blended in, some extra ducting to aid cooling was also added and a set of morette twin head lamps were modified to house the indicators and an intake for the air box. 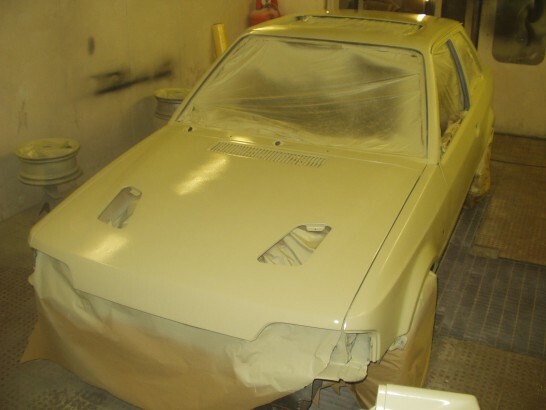 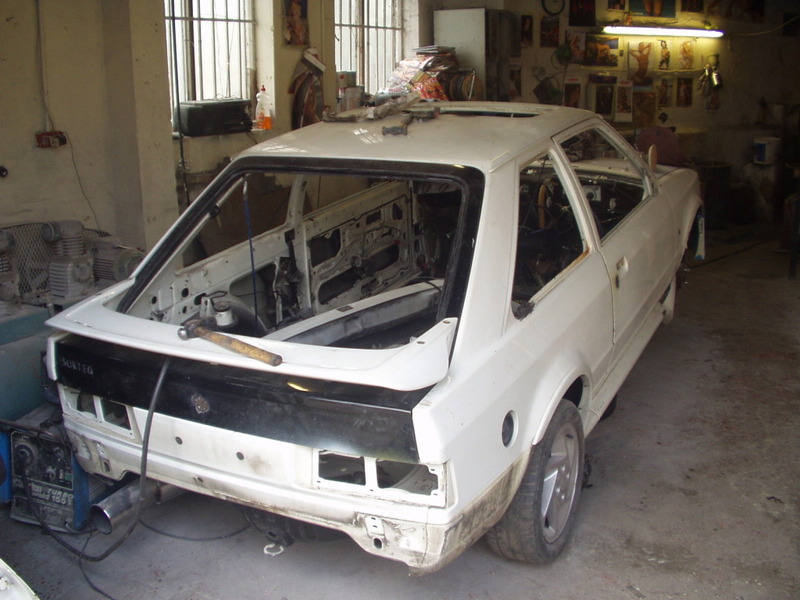 With a small ammount of repairs carried out the doors and boot were de-locked and the recess for the front Ford badge removed, the Turbo was then coated in 2K primer. 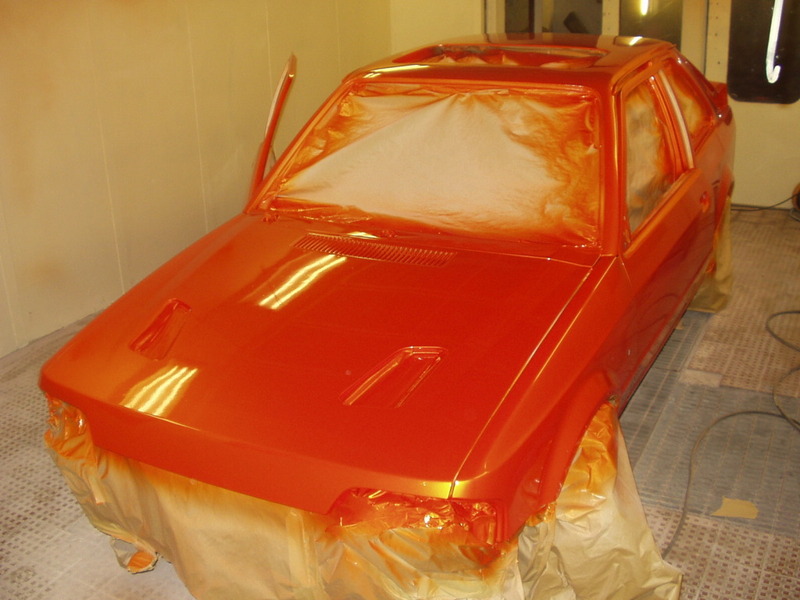 A three stage orange mica from a range of colours called Effetti was chosen and applied to the shell , this colour requires that the panels are based up in a cream coloured base coat first, the orange mica is then applied followed by the 2K laquer. 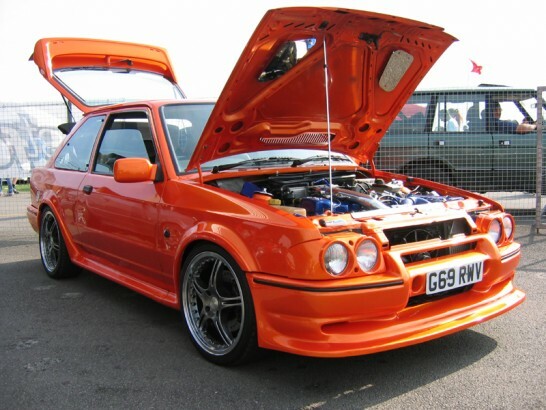 With the exterior of thr RS completed the engine bay was given the same treatment. 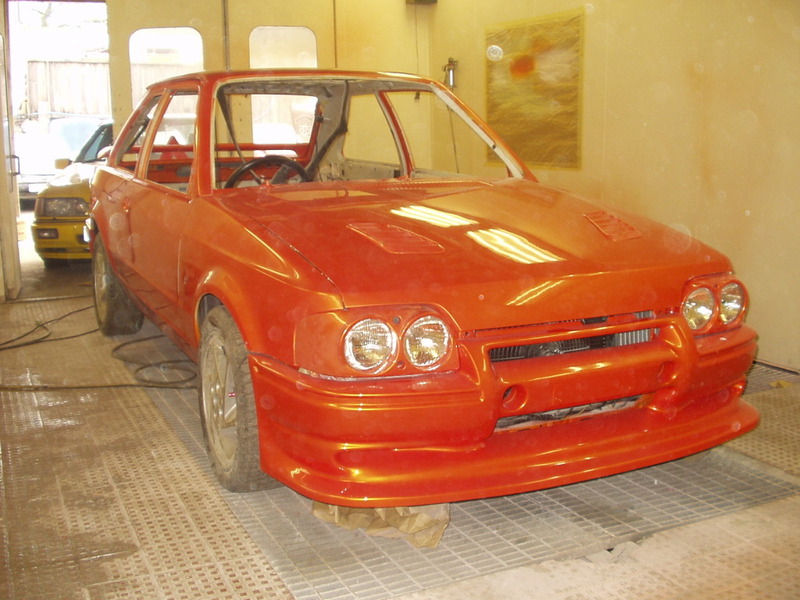 The refit gets underway with the addition of an Avo shock kit and Hi-Spec 285mm brake upgrade and a multitude of new components. 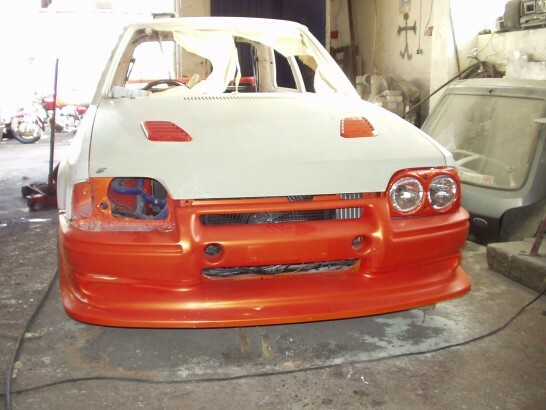 A modified sierra 1860cc block using machined zetec pistions, lightened and balanced was purchased from Ferriday engineering mated to the standard head with a Kent 34 camshaft, a rebuilt turbo with a modified exhaus housing, forge motorsport intercooler, modified injection system, modified air box with a K&N panel filter and rebuilt Turbo gearbox with an AP paddle clutch plate with a genuine ford cover plate, fitted with new injectors and sensors the RS turbo was sent to Grove garage in Essex to be live tuned resulting in over 220bhp. 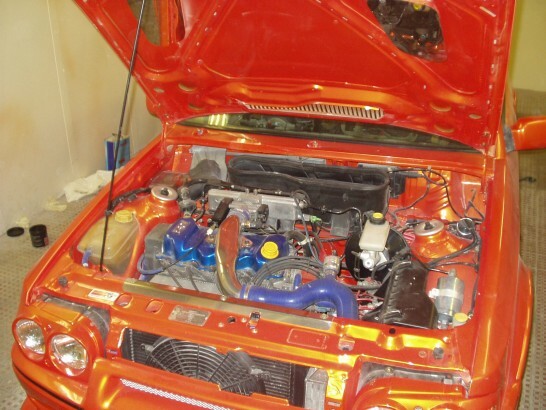 Fully detailed engine bay with a smattering of chrome and stainless to finish off the engine bay. 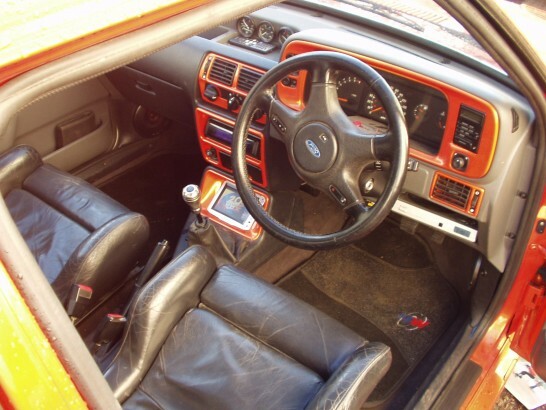 THe interior was treated to a full leather retrim along with some colour coding, additional guages and a bespoke Lcd screen fitted in the centre console. 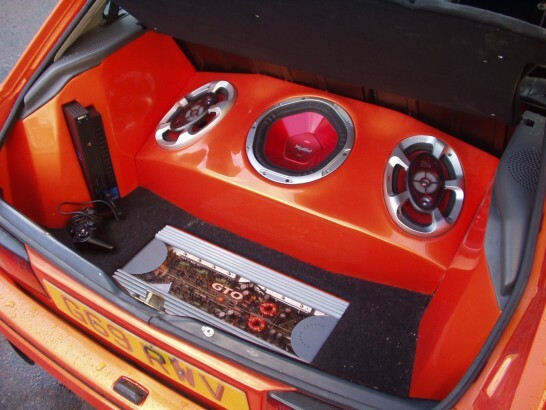 A bespoke boot install was constructed using Mdf and glassfibre with a flase boot floor that still allows access to the spare wheel, the install was prepped an d painted to match the exterior of the RS. 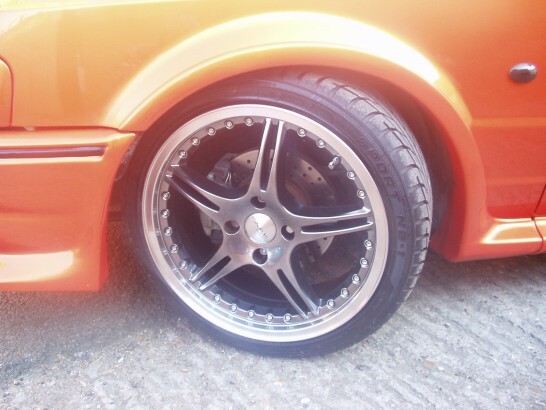 A set of 17″x7J Dare X-5’s was the finishing touch. 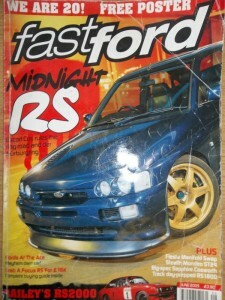 Featured in Fast Ford June 2006 and also featured on the Fast ford stand at Trax 2006.